More than 50 area professionals, most representing non-profit organizations, on Wednesday, August 27 received some valuable lessons on how to improve their chances to land a share of $45 million in grants that will be awarded statewide over the next three years to improve the education of thousands of Texans. The funding will be available through AmeriCorps (http://www.americorps.org), often described as a domestic Peace Corps, which is a national network of programs that engages more than 70,000 Americans each year in intensive service to meet critical needs in communities throughout the nation. The two-hour session, sponsored by the Texas Valley Communities Foundation (http://www.tvcof.org) and hosted in Edinburg, provided leaders of dozens of area groups with the knowledge and professional contacts they will need to more effectively apply for grants from AmeriCorps through the One Star Foundation. The One Star Foundation (http://www.onestarfoundation.org) is a nonprofit organization, created by Texas Gov. Rick Perry in 2004, to funnel money from groups such as AmeriCorps – as well as from the state and federal government – to volunteer and charitable organizations, including local governments, so they can address many of the critical social needs that face their home regions. Roughly three-quarters of all AmeriCorps grant funding in Texas goes to the One Star Foundation. The Texas Valley Communities Foundation, headquartered in the Wells Fargo Bank Building at 2836 West Trenton Road, is a first-of-its-kind organization in the Rio Grande Valley that was created to help South Texas’ non-profit groups identify and secure millions of dollars in grants to help them improve the quality of life in deep South Texas. 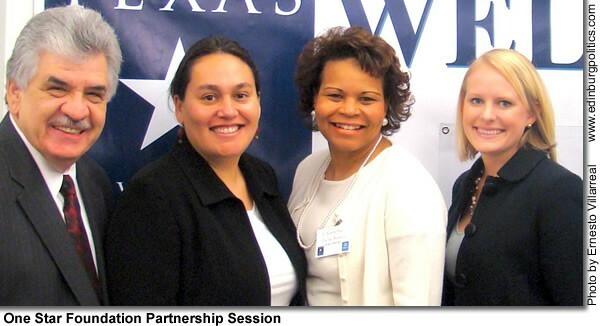 Two top staff members with the One Star foundation – along with Dr. Beverly Ashley-Fridie, Ph.D., of Edinburg, a gubernatorial appointee who serves on the board of directors for One Star Foundation – provided details about AmeriCorps, along with strong encouragement to the full-house audience in attendance, which included Robert Peña, Jr., a member of the Edinburg school board. Rosa Moreno-Mahoney, Associate Director of Service and Volunteerism for the One Star Foundation, and Courtney Suhrs, Senior Strategic Communications Specialist for the One Star Foundation, provided the gathering with important insights about their group and the funding available through AmeriCorps. She said the focus was on AmeriCorps because there is still time to meet an October 14 deadline to apply for money from that national organization. “For area organizations which think they can make this current deadline, we want to make sure that they know we are available to be a resource to help them think through their program design as they are developing them,” Moreno-Mahoney explained. For others that can’t meet the deadline this fall, she added, the work can begin to prepare applications for next year. 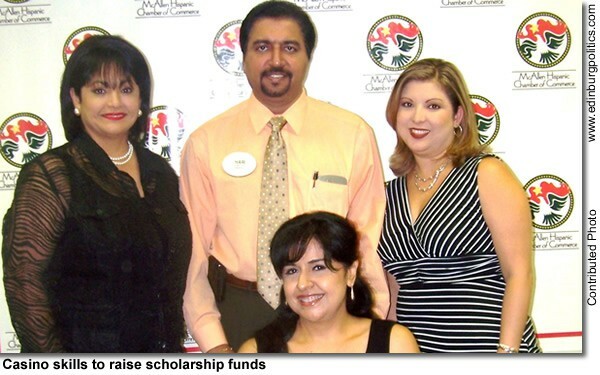 Dr. Roland Arriola, Ph.D., the president of the Texas Valley Communities Foundation, said TVCF brought Moreno-Mahoney and Suhrs down to Edinburg because the One Star Foundation represents an untapped resource for the region, especially in the arena of education. Area non-profit groups are sometimes discouraged from applying for significant financial grants because of stringent legal paperwork requirements from potential funding sources. One of TVCF’s many advantages, said Ashley-Fridie, is it can serve as the administrative arm for local nonprofit groups, thus increasing their likelihood of securing major funding for their important programs. Ashley-Fridie, who was one of the charter members of the Texas Valley Communities Foundation, said TVCF can play a crucial role in cutting through the often intimidating bureaucratic red-tape. Moreno-Mahoney suggested that local nonprofit organizations can work jointly with TVCF to achieve mutual goals. “If there is a group of organizations that wants to come together as a collaboration to apply, they would have to identify who would be the legal applicant,” Moreno-Mahoney said, noting that TVCF could serve as the administrative arm of such efforts. Diane Willis, the principal at Hargill Elementary in Hargill, and an educator with the Edinburg school district for the past 18 years. She also serves as secretary on he board of the UTPA Alumni Association, and has earned several degrees from UT-Pan American. Texas Valley Communities Foundation may be reached at 956/630-3331 and their fax number is 956/630-3344. Five candidates, including incumbents Ciro Treviño and Carmen González, will be on the Tuesday, November 4 ballot seeking two Edinburg school board trustee slots in the upcoming November 4 U.S. presidential election. The last day to file for the two school board positions was Tuesday, August 26, and the last day for a candidate to be declared ineligible or to withdraw and have their name removed from the ballot was Friday, August 29. Treviño and González are both seeking reelection to new four-year terms. Treviño, the Place 7 incumbent, will be facing challenges from Carlos Ramos, a former police officer with the Edinburg school district who now is co-owner of Logos Etc., a McAllen-based business, and Roger C. Bunch, a professional educator at the Edinburg Alternative Education Academy. Treviño is a longtime public figure, having served many years as Hidalgo County Tax Assessor Collector in his professional capacity, and also having served on the Edinburg City Council. 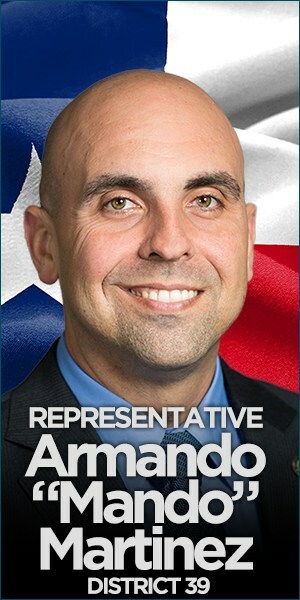 He currently serves as secretary of the Edinburg school board. Meanwhile, González, the Place 6 incumbent and longtime former professional educator and administrator, will be facing an experienced political rival – Gilbert Enríquez, vice-president for Enríquez Enterprises, one of the major construction contractors in the region. 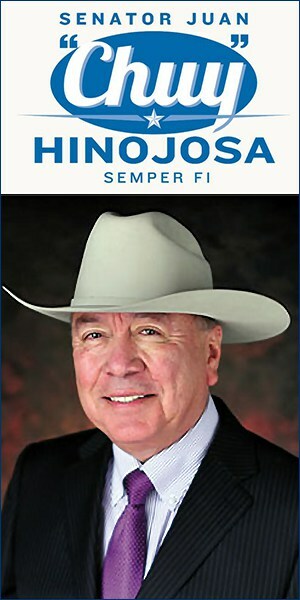 Enríquez previously served for five years as a member of the Edinburg school board before declining to seek reelection. Both González and Enríquez also have served as president of the seven-member school board during their respective tenures in office in the May 2005 elections. Treviño filed for reelection on Wednesday, August 20. He lists himself as campaign treasurer. His address is 1206 South 7th Street, and he provided the following telephone numbers: 383-2567 and 457-2659. Bunch filed for election on Tuesday, August 26. He lists himself as campaign treasurer. His address is 815 Lee Circle, and he provided the following telephone number: 318-1775. He also provided the following e-mail address: BunchForECISD@yahoo.com. Enríquez filed for election on Tuesday, July 29. He did not list a campaign treasurer. His address is 2517 Encino Court, and provided the following telephone numbers: 259-8005 and 793-0178. 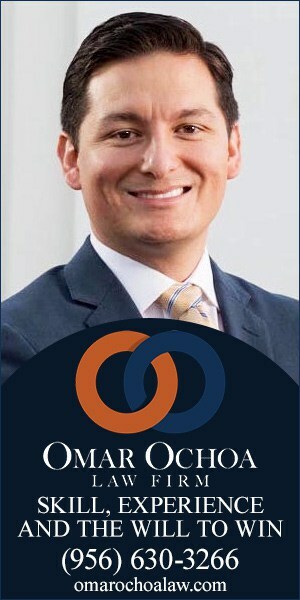 González filed for reelection on Tuesday, August 5. She listed Bryant Morrison and Joe Rodríguez as her campaign co-treasurers. 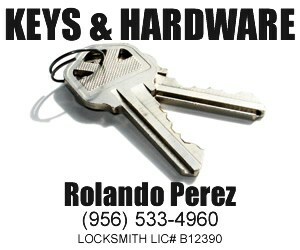 Morrison’s telephone number is 207-4585 while Rodríguez’ telephone numbers are 720-2122 and 330-2475. Morrison was one of the leaders of the community effort last spring which rallied support for the passage of the $112 million school bond construction measure. González listed her address as 902 W. Ebony Drive, and provided the following telephone numbers: 383-8219 and 207-7493. This is the 61st day before the election. This is also the recommended date to order the list of registered voters from the Hidalgo County voter registrar. The list should include both the voters’ residence and mailing address in order to conduct early voter by mail (Sec. 18.006). The is the first day to accept regular applications for early voting by mail. This is the last day to register to vote for the Tuesday, November 4 election. This is the last day to post notice of election on the bulletin board, which is used for posting notices of meetings. That bulletin board is located in front of the ECISD administration, located at 411 North 8th Avenue. The school district will post notice of the first test of automatic tabulating equipment. The first test of the automatic tabulating equipment will be conducted. This is the first day to vote early by personal appearance. Early voting will be conducted on this day from 7 a.m. to 7 p.m. Early voting will be conducted on this day from 10 a.m. to 3 p.m.
Last day to publish Notice of Election. Last day for early voting clerk to receive application for ballot by mail. Election Day. Polls open at 7 a.m. and close at 7 p.m. Unofficial tabulation of results will take place at the Administration Building, 411 North 8th Avenue, at 7 p.m.
Last day to post notice of meeting to canvass returns of the election. This notice needs to be posted 72 hours before the scheduled time 0f meeting. Board meeting to canvass returns of the election. First day that newly-elected officers may qualify and assume the duties of their offices. (After canvassing the election). Last day to file electronic precinct by precinct returns with the Texas Secretary of State. The Mexican American Legislative Caucus’ Higher Education Task Force on Monday, August 25, announced upcoming meetings to discuss the development of a medical school in the Lower Rio Grande Valley. The closed-door, private meetings are scheduled for Monday, September 8 and Tuesday, September 9, in the Rio Grande Valley. A panel of MALC members will meet with officials from the University of Texas Regional Academic Health Center (RAHC) in Harlingen and the presidents of the University of Texas at Brownsville and the University of Texas Pan American in Edinburg. The creation of a new medical school in the Rio Grande Valley is essential to curtailing the sweeping health issues that plague the border region. The growth of this area and theresulting increased demand for health care can be solved by establishing new facilities. Furthermore, a teaching hospital would invigorate the Rio Grande Valley economy, support services and industries essential to running a hospital, provide jobs and new infrastructure that aid this high-density, low-income area. 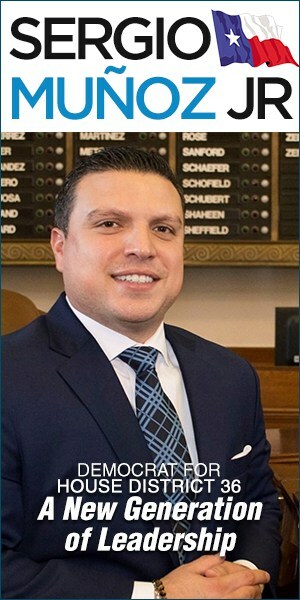 “A new medical school would begin to address the shortage of health care professionals in South Texas,” said Rep. Armando “Mando” Martínez, D-Weslaco, a member of the MALC Higher Education Task Force. 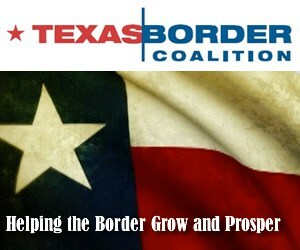 The Mexican American Legislative Caucus—Texas House of Representatives (MALC) isa leader in Latino issues in the Texas. Founded in 1973, MALC is a 501(c)(6)non-profit, non-partisan organization composed of 43 members of the Texas House of Representatives dedicated to addressing the issues that concern Latinos across the state. Edinburg posted a 5.3 percent unemployment rate in July 2008, the second best showing among the major Valley cities, and the same as the rate reported in June, the Edinburg Economic Development Corporation has announced. The unemployment rate is a key indicator of the strength of the local economy. 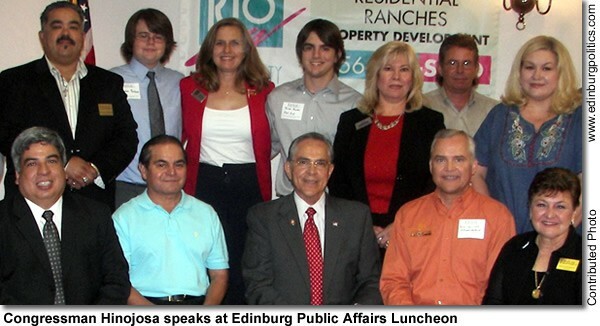 The EEDC is the jobs-creation arm of the Edinburg City Council. The EEDC’s five-member governing board includes Mayor Joe Ochoa; former Mayor Richard García, who is president of the EEDC board of directors; and Fred Palacios, Elias Longoria, Jr., and Dr. Glenn A. Martínez, Ph.D.
By comparison, Texas unemployment rate in July was 4.7 percent, while the U.S. unemployment rate that month was 5.7 percent, according to the Texas Workforce Commission. In July, there were 28,258 persons employed in the three-time All-America City, while 1,567 were actively looking for work. So far this year, the city unemployment rate has averaged slightly more than 4.7 percent. In 2007, the city’s unemployment rate averaged 4.8 percent. In 2006, the city’s unemployment rate averaged 5.3 percent, while in 2005, Edinburg’s unemployment rate averaged 4.9 percent. The best showing in history for Edinburg came in November 2007, when the unemployment rate dropped to 3.7 percent. 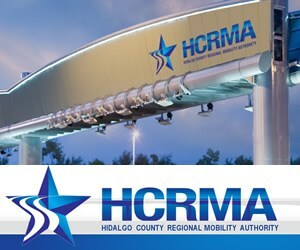 All cities in Hidalgo County for July 2008 had a combined unemployment rate of 7.7 percent, compared with 7.2 percent in June, 6.1 percent in May, 5.7 percent in April, 6.4 percent in March, 6.6 percent in February, and 7.3 percent in January. In July, there were 259,295 persons employed in Hidalgo County, with 21,736 actively looking for work. For July 2008, all cities in Cameron County had a combined seven percent unemployment rate, compared with 6.8 percent in June, 5.9 percent in May, 5.4 percent in April, 5.8 percent in March, 5.9 percent in February, and 6.5 percent in January. In July, there were 135,072 persons employed in Cameron County, with 10,136 actively looking for work. For all of 2007, the unemployment rate in Edinburg averaged 4.8 percent, according to the latest state figures compiled by the TWC. The highest unemployment rate in the past year for Edinburg came in July 2007, reaching 5.8 percent. The July 2008 unemployment rate in Edinburg represents a growth of 3,238 jobs since July 2005, according to the Texas Workforce Commission. In July 2007, there were 27,115 people with jobs in the three-time All-America City. In July 2007, the unemployment rate was 5.7 percent. In July 2006, there were 25,995 people employed in Edinburg. In July 2006, the unemployment rate was 6.4 percent. 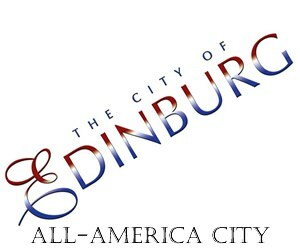 In July 2005, there were 25,020 people employed in Edinburg. In July 2005, the unemployment rate was 5.5 percent. Those levels represent some of the lowest unemployment rates and the largest numbers of people employed in the city’s history. The unemployment rate is the number of persons unemployed, expressed as a percentage of the civilian labor force. The civilian labor force is that portion of the population age 16 and older employed or unemployed. 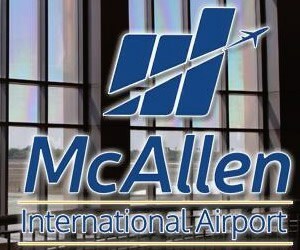 McAllen, which usually has the lowest monthly unemployment rates in the Valley, had the best showing among major Valley cities in July 2008 at 5.1 percent, compared with 4.8 percent in June, 4.3 percent in May, 3.9 percent in April, 4.3 percent in March, 4.5 percent in February, and 4.8 percent in January. Harlingen had the third-lowest jobless rate among Valley cities in July 2008 at six percent, compared with 5.9 percent in June, 5.3 percent in May, 4.8 percent in April, five percent in March, 5.1 percent in February, and 5.4 percent in January. Among the Valley’s largest cities in July 2008, Mission posted a 6.7 percent unemployment rate in July 2008, compared with 5.9 percent in June, while Pharr reported a 6.8 percent unemployment rate, compared with 6.4 percent in June. 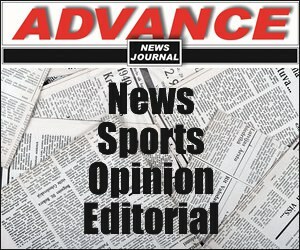 Brownsville posted a 7.2 percent unemployment rate, compared with seven percent in June, followed by Weslaco, which reported a 7.9 percent unemployment rate in July, compared with 7.4 percent in June. Texas’ seasonally adjusted nonagricultural employment grew by 17,500 jobs in July. Texas employers now have added 248,600 jobs in the past 12 months, for an annual job growth rate of 2.4 percent, compared to a negative national job growth rate. The Texas unemployment rate rose to 4.7 percent in July, up from 4.4 percent in June and 4.3 percent in July 2007. The U.S. seasonally adjusted unemployment rate climbed to 5.7 percent in July, up from 5.5 percent in June and 4.7 percent a year ago. The Midland Metropolitan Statistical Area (MSA) experienced the lowest unemployment rate in the state at 3.1 percent (not seasonally adjusted). The Odessa MSA was second at 3.7 percent, followed by the Amarillo MSA at 3.8 percent. The Leisure and Hospitality industry has gained jobs for 10 consecutive months, adding 3,400 positions in July. This is an industry gain of 38,800 jobs in the past year. Construction grew by 3,300 jobs this month, adding 28,600 jobs in the past 12 months. Natural Resources and Mining employment increased by 1,300 jobs in July, with 15,700 positions added over the year. Financial Activities gained 800 jobs this month, with 9,600 jobs added since July 2007. Hidalgo County has several upcoming deadlines and important hurricane-related announcements that residents should be aware of this Labor Day weekend. The Hidalgo County Commissioners’ Court encourages residents living in rural Hidalgo County to use the extended holiday to place Hurricane Dolly-related debris on the curb for free pickup. County leaders, in conjunction with area cities that are using the county’s contract with Ash Britt Environmental for debris removal, have tentatively decided on that the last day for residents to set out their debris will be Monday, September 15. The date could change based on need and/or the possibility of Hurricane Gustav interrupting operations. But for now, after September 15, Ash Britt will begin making the last passes on each county street. As of Wednesday, August 27, 2008, crews had picked up 10,600 loads of debris or 470,210 cubic yards. There is no need for rural constituents to call their county precinct offices to schedule pick up unless they need special assistance in placing your debris on a public right-of-way because of a disability. A daily debris management plan targets different county neighborhoods and streets each day. When setting out debris, rural residents are asked to separate the piles into vegetative debris, construction debris and things such as furniture and electronics. Do not place near utilities and remember that crews cannot enter private property. It is important to place the debris on public right-of-ways. Be careful not to block traffic or impede traffic with the piles. Lastly, the Texas Department of Transportation is responsible for debris removal on all Farm-to-Market Roads, U.S. Routes and State Highways. In a related matter, county leaders are reminding all residents that the deadline to register for FEMA assistance is Tuesday, September 30. Two disaster recovery centers (DRCs) are still open in Hidalgo County: La Villa Middle School, located at 500 E. Ninth Street in La Villa, and San Juan Community Resource Center, located at 509 E. Earling Road in San Juan. The DRCs are open 10 a.m. to 7 p.m. Monday through Saturday and from 1 p.m. to 7 p.m. on Sundays. 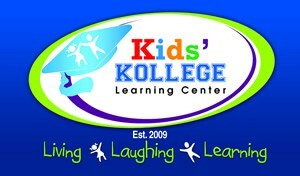 The DRCs will also be open on Labor Day, Monday, September 1, 2008. The DRCs will remain open until FEMA officials see that the need significantly declines. Residents affected by Hurricane Dolly can also register by calling 1 (800) 621-FEMA (TTY 1-800-462-7585) or by logging on to http://www.fema.gov. FEMA representatives reported to county officials that as of Monday, August 25, 14,282 applications had been approved for assistance in Hidalgo County, totaling more than $9.7 million in housing assistance and $1.7 million in other types of assistance. About 800 home inspections are still pending in Hidalgo and Cameron counties. Tuesday, September 2 is the deadline to apply for disaster-related unemployment assistance. Hidalgo County farmers and ranchers who sustained physical and production losses from Hurricane Dolly are eligible to apply for low-interest emergency loans from the Farm Service Agency (FSA), Hidalgo County Judge J.D. Salinas, III, announced on Friday, August 29. The damage to field crops resulted in an estimated 72.6 percent loss of upland cotton, a 24 percent loss of grain sorghum and a 9 percent loss of yellow corn, totaling over $19.3 million in losses, according to a report prepared by the Hidalgo County Farm Service Agency. According to the USDA Presidential Major Disaster Declaration M1780, Brooks, Kenedy and Starr counties were declared a major disaster based on damages and losses caused by Hurricane Dolly that occurred from July 22, 2008 to August 1, 2008. Hidalgo County, along with Duval, Jim Hogg, Jim Wells, Kleberg, Willacy and Zapata counties, were named as contiguous disaster counties. Farm operations in both primary and contiguous counties are eligible to be considered for low-interest emergency loans from the Farm Service Agency. FSA will consider each loan application based on its own merits, taking into account the extent of losses, security available and repayment ability. The deadline to apply for the emergency loans is April 9, 2009. Farmers and ranchers in Hidalgo County should contact Arnulfo Lerma at the Hidalgo County Farm Service Agency, (956) 381-0961 ext. 2. Citing pressing financial burdens in the wake of Hurricane Dolly, U.S. Sen. John Cornyn on Thursday, August 28, sent a letter to President Bush urging him to approve Governor Rick Perry’s request to increase the federal cost share for certain hurricane recovery expenses in Cameron, Hidalgo and Willacy Counties from 75% federal share to 100% federal share. The text of Cornyn’s letter is below. I request that you give full consideration to the request made by Governor Rick Perry to increase the federal cost share for certain hurricane recovery expenses in Cameron, Hidalgo and Willacy Counties from 75 percent federal share to 100 percent federal share. As you know, Hurricane Dolly struck the South Texas coast in July with sustained winds over 100 miles per hour. I appreciate your quick disaster declaration for 15 Texas counties impacted by the storm, allowing the federal government to reimburse these communities for 75% of the costs associated with removing debris and for emergency protective measures designed to safeguard lives and property. However, over the past two weeks, continuous heavy rains have further beset Cameron, Hidalgo and Willacy Counties. This additional burden on the local infrastructure and emergency response personnel is a tremendous strain for these counties, which are among the poorest in Texas and do not have the resources to meet the growing demand for disaster response and social services. Increasing the federal share of Hurricane Dolly recovery costs will allow these counties to meet the many needs of their residents in these difficult circumstances. I appreciate your consideration of my request, and please do not hesitate to contact me if I can be of additional assistance. The Shoppes at Rio Grande Valley celebrated the opening of its first store on Saturday, July 26, 2008 with the new JC Penney department store. On Friday, August 29, the shopping center announced the grand opening of Burlington Coat Factory as the second store opening in the shopping center. “Smart, savvy shoppers have a reason to celebrate,” says Isaac Farias, store manager of the new Burlington Coat Factory located at 457 Trenton Road in The Shoppes at Rio Grande Valley in Edinburg. The 80,000 square foot location will feature a wide variety of the current trends in ladies’ dresses, suits, sportswear, maternity and accessories; top name men’s suits and sportswear; quality, name brand shoes for men, women and children; famous label clothes for kids of all ages, and of course – COATS – the largest selection of coats in the nation. The retail coat authority grand opening represent its 39th location in Texas. Burlington Coat Factory’s Home Décor Department is chic and affordable, offering a huge assortment of home goods from around the globe including bedding, bath accessories, the latest home accents, housewares and gifts. Burlington Coat Factory is also known for its distinctive Baby Depot Department. Staffed with knowledgeable associates, Baby Depot offers a huge selection of quality brand names for every baby need, including strollers, car seats, furniture, toys, clothing and accessories. Expectant parents can register with their National Baby Registry, making it easy for family and friends to purchase that special gift. The Shoppes at Rio Grande Valley, located on the northwest corner of U. S. Highway 281 and Trenton Road, last month opened the new shopping center with JC Penney’s latest 103,000 square foot concept being its first store. Burlington Coat Factory, the retail authority in coats, offers a broad selection of branded quality merchandise at everyday low prices across many product categories, including ladies’ sportswear, menswear, family footwear, children’s clothing, baby furniture and accessories, home décor and gifts, along with the largest selection of coats for the entire family in the nation. The updated Burlington Coat Factory, founded in 1972, has expanded from a single store selling coats to a multi-department retail chain with more than 390 stores in 44 states, predominantly under the “Burlington Coat Factory” name. Burlington Coat Factory was purchased by Bain Capital in 2006. Additional information can be found at http://www.BurlingtonCoatFactory.com. Labor Day is described by Wikipedia as the symbolic end of the summer for most Americans. Despite Texas’ hot climate, outdoor activities start slowing down or shutting down, like community pools, amusement parks and campgrounds. Hundreds of hard-working high school and college students are back in academia. Many of us, depending on our professions, get the day off. While most of us value time off from work, what we value more is the ability to be a contributing member of society. Employment is at the crux of a community’s economic vitality, especially higher-wage jobs. But higher-end professions are harder to find in South Texas than most other regions of the state, and this contributes to an outmigration of educated young adults who take their needed skills with them. According to a recent Texas Comptroller report, South Texas’ job growth will outpace the state’s through 2012, partly from the region’s rapidly growing population that has exceeded the state average since 2002. State Demographer Karl Eschbach reports that Cameron County’s population estimate for January 2007 is 395,161, showing a 17.9 percent increase from 2000 to 2007. For the same period, Hidalgo County’s population is estimated at 723,433, showing a 27 percent increase, and Willacy’s population of 20,987 shows a 4.5 percent increase. Kenedy and Kleberg counties experienced a decrease of -4.1 percent with populations of 397 and 30,256 respectively. It is well documented that smaller counties with fewer employment and education opportunities suffer even more from the exodus of young workers. 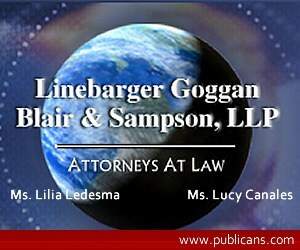 The International Relations and Trade Committee I chair is addressing these problems and seeking legislative solutions. Projections for 2002 to 2012 indicate a 38.5 percent employment growth for the McAllen-Edinburg-Mission Metropolitan Statistical Area (MSA), and a 23 percent employment growth for the Brownsville-Harlingen MSA, slightly below the state’s average of 25 percent. While this outlook sounds promising, we must remember that the area’s lack of education and occupation skills training means lower-paying positions for many. The Texas Workforce Commission (TWC) lists the median hourly wage as $13.21 for South Texas, compared to the statewide average of $18.25. Annual earnings per local worker average $31,506, compared to the statewide average of $49,004. Improving higher education attainment, expanding job skills training and reducing dropout rates are the tools that will enable us to reach statewide averages. While we continue to see new job growth in some areas, we’re still plagued by higher unemployment. In July 2008, unemployment was 6 percent nationally and 5 percent statewide. Ours are still an unacceptable 7 percent for Cameron, 9.3 percent for Willacy and 7.7 percent for Hidalgo. As a region, we must encourage local and outside job creation. This holiday, I want to recognize the thousands of South Texans with the entrepreneurial spirit that has resulted in job creation and a boost to our economy. From the Mom and Pop shop owners to big business executives, every entrepreneur contributes to either direct or indirect job growth, so I encourage this spirit in our area. Estimates by Economic Modeling Specialists, Inc. (EMSI), a state contractor with TWC, show that 18,347 new jobs were created between January 2007 and January 2008 in Cameron, Hidalgo, Kenedy, Kleberg and Willacy counties. This represents a 4.3% increase in new jobs. EMSI projects that between 2008 and 2015, 78,100 new jobs will be created in South Texas. With a young workforce, we will need these offerings and more. Currently, 87,050 South Texans are between the ages of 25 and 29 years (44 percent of the population), and by 2015 that age group is projected to rise to 95,004. Our school children of today will be the workforce of tomorrow, so this Labor Day, I thank those in public and higher education for preparing so many young minds to enter the labor force. I also thank our military men and women who safeguard the American dream of better job opportunities than those of the previous generation. To every South Texan who works hard to better our community, my family and I wish them a happy and safe Labor Day. Rep. Verónica Gonzáles, D-McAllen, on Tuesday, August 26, commemorated the 88th anniversary of the U.S. constitutional amendment granting women the right to vote. The Nineteenth Amendment to the U.S. Constitution, ratified on August 26, 1920, prohibited national or state laws denying voting rights based on gender. The amendment passed after women’s groups—led by Susan B. Anthony, Elizabeth Cady Stanton, Lucretia Mott and others—spent nearly 60 years pushing for suffrage, or the right to vote. In 2005, the State of Texas designated August 26 as Women’s Independence Day to honor the leaders of the suffrage movement. Women are increasingly active in politics, national statistics show. In every Presidential election since 1980, more women voted than men. Still, women make up only 17 percent of the nation’s elected leaders. And even in 2008, women in some parts of the world are not allowed to vote because of their gender. The last day to register to vote in the November 4 Election is Monday, October 4. For information on voter registration, contact Gonzáles’ office at (956) 686-5501. To register to vote or check voter registration status, visit the Texas Secretary of State website at: http://www.sos.state.tx.us/elections/index.shtml. The number of Hispanic students in the nation’s public schools nearly doubled from 1990 to 2006, accounting for 60 percent of the total growth in public school enrollments over that period. Presently, 10 million Hispanic students attend the nation’s public schools, 20 percent of all public school students. In 2006 Hispanics were about half of all public school students in California, up from 36 percent in 1990. They were more than 40 percent of enrollments in three additional states (Arizona, New Mexico and Texas) and between 20 percent and 40 percent of all public school students in five states (Nevada, Colorado, Illinois, Florida and New York). Overall, Hispanics are the largest minority group in the public schools in 22 states. Strong growth in Hispanic enrollment is expected to continue for decades, according to a recently released U.S. Census Bureau population projection. In 2050, there will be more school-age Hispanic children than school-age non-Hispanic white children. In order to illuminate this growing group of public school students, the Pew Hispanic Center on Wednesday, August 27, released One-in-Five and Growing Fast: A Profile of Hispanic Public School Students, a statistical portrait of the demographic, language, and family background characteristics of the nation’s 10 million Hispanic public school students. Nearly three-in-five Hispanic students (57 percent) live in households with both of their parents compared with 69 percent of non-Hispanic white students and 30 percent of non-Hispanic black students. More than seven-in-ten U.S. born Hispanic students of immigrant parents (71 percent) live with both parents. Smaller shares of foreign-born students (58 percent) and U.S.-born students of native parentage (48 percent) reside with both parents. More than a quarter of Hispanic students (28 percent) live in poverty, compared with 16 percent of non-Hispanic students. In comparison, more than a third of non-Hispanic black students (35 percent) reside in poverty and about one-in-ten non-Hispanic white students live in a poor household. Foreign-born Hispanic students (35 percent) are more likely than their native-born counterparts (27 percent) to live in poverty. The report, One-in-Five and Growing Fast: A Profile of Hispanic Public School Students, is available on the Center’s website, http://www.pewhispanic.org. The Federal Trade Commission (FTC) has announced a new rule governing telemarketing calls that feature prerecorded messages. Beginning Monday, September 1, 2009, telemarketing companies must obtain call recipients’ written permission before contacting them with a prerecorded message. More immediately, effective Monday, December 1, 2008, prerecorded telephone marketing calls must have an opt-out mechanism so that recipients can elect not to receive those unsolicited calls in the future. Telemarketers with pre-existing customer relationships will be allowed to continue using prerecorded messages to contact those customers only for one year after the rule is published in the Federal Register. At that time, telemarketing companies will need their customer’s written permission before calling anyone with a prerecorded message. Under the new regulations, charitable organizations can continue contacting their members or previous donors, but will need to offer an opt-out mechanism once the new rule goes into effect. The FTC’s new rule will not prohibit customers from receiving certain prerecorded informational calls, such as those which announce flight delay notifications, upcoming appointments, or similarly helpful information. These phone calls are unaffected by the new rule because they are not used to market products or services to the recipient. Healthcare-related phone calls also are exempt from the new regulations. In cases where the call is answered by an answering machine or voicemail, provide a toll-free number that allows the recipient to be connected to an automated interactive voice and/or keypress-activated opt-out mechanism anytime after the message is received. The new rule can be viewed online at http://www.ftc.gov. Antonio Castillo, 30, of McAllen, has pleaded guilty to being an accessory after the fact in his effort to help a convicted drug trafficker to escape from federal custody, United States Attorney Don DeGabrielle announced on Tuesday, August 26. Castillo entered a guilty plea that afternoon before U.S. District Judge Hilda Tagle. At the August 26 hearing, the United States presented its evidence proving Castillo met with an undercover agent at several locations in Harlingen, to discuss the escape of Ricardo García-Heredia, a federal prisoner convicted in May 2008 of money laundering, conspiracy to possess with intent to distribute a controlled substance and possession with intent to distribute a controlled substance facing a minimum of 20 years to a maximum of life imprisonment. García-Heredia was awaiting sentencing in United States District Court–Corpus Christi Division before Chief U.S. District Judge Hayden Head. During those meetings, Castillo told the agent he and others were prepared to pay $500,000 for the escape of García-Heredia. Castillo agreed to pay $300,000 down, $100,000 after the escape and $100,000 one month later. On June 27, 2008, Castillo met the agent in Harlingen and delivered the $300,000 and a change of clothes for García-Heredia. Castillo was subsequently arrested. 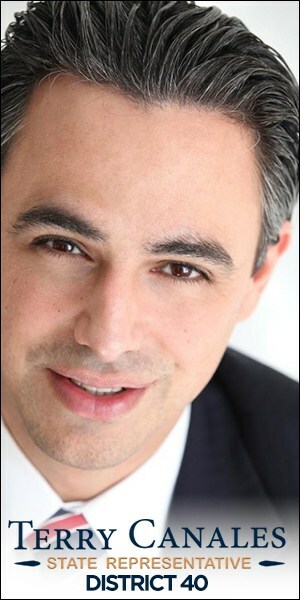 On July 28, 2008, García-Heredia was sentenced to 360 months confinement for the drug and money laundering convictions. Castillo was remanded to the custody of the United States Marshals Service pending his sentencing hearing. He faces a maximum of 15 years imprisonment and a $4 million fine. 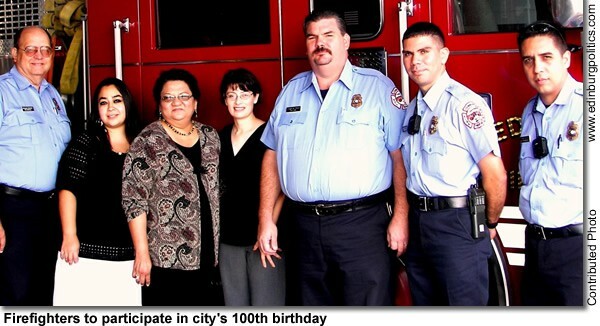 United States District Judge Hilda Tagle will sentence Castillo on December 1, 2008.